Thefanboyseo.com dishes out our SPLIT review starring James McAvoy and directed by M. Night Shyamalan. Now Showing from UIP and Columbia Pictures Philippines. 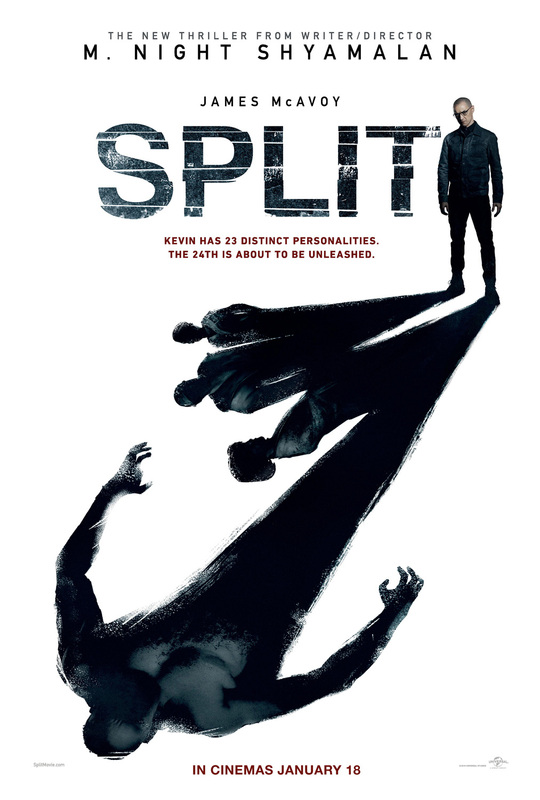 Split’s the type of movie that you think you know where its going and then it gives you a different ending. The film takes place from the POV of teenager Cassie who along with her other two acquaintances are kidnapped by a strange man named “Dennis” to be offered to something he calls “The Beast”. They wake up not knowing only with a clue that they are underground. And that’s when the torment begins. Actually, I’m pretty happy that they trailer they used made it pretty clear what’s going on and how this story is being set up (mainly because it saves me a lot of time painting that picture). 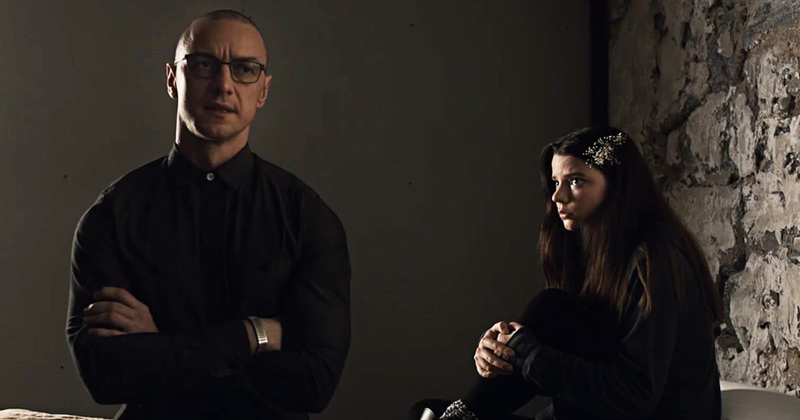 M. Night Shyamalan goes backs to basics in one for or another for “Split”. It’s actually got a lot of similarities between his other “bigger” works like “Unbreakable” and “The Sixth Sense”. Both have twist and open-ended conclusions that’s hit-and-miss. This time it didn’t work that extremely well for me. Casting Anya Taylor-Joy something as the lead was a nice touch. She definitely acts weird and frigid and uncaring and they get to play with that backstory quite well. Too well actually as I left the screening bothered and uneasy with the concept that was thrown around. But then again, there were some moments where her acting looks stiff or out-of-place. The true star of the movie here is James McAvoy. The man who also plays Professor X does tremendous work in playing 23 different individuals residing in one body. From playing a 9 year old to a manipulative mature woman to a very OC man, the British actor sure knows what he’s doing. The jump scares and suspenseful moments are reserved towards the end when ‘The Beast’ emerges and everything is cranked to 11. So yeah, there were a few dull moments that could have been played out differently or edited out entirely. Once again Shyamalan plays with a medical concept much like Unbreakable and manages to get my attention at least. I have to be honest Lady in the Water wasn’t my thing. Signs was awesome but that is a genre entirely different. Here between Split and Unbreakable the lines are definitely there and it connects. Not only does Split and Unbreakable have a common connection, they are actually connected thanks to a cameo. I won’t spoil but you have to watch the movie and see for yourself. Note that if this risky gamble the movie did play off, we’ll be getting another ‘shared universe’ of films from the ‘Sixth Sense’ director. But as early as now, “well played sir”. The twist ending for me was lacking. There’s no huge sucker punch or the no real surprise. It’s pretty predictable actually. Its also so random that the thing that could have saved our protagonist from her ordeal was something she opted not to do. In that POV, that’s pretty clever (or lazy depends on who you ask). Still for what its worth, we’re ending this Split review on a positive note. It’s not as stellar as other M. Night films but its definitely showing us that the director is returning to his former glory. That time when he was a HUGE deal thanks to Sixth Sense.